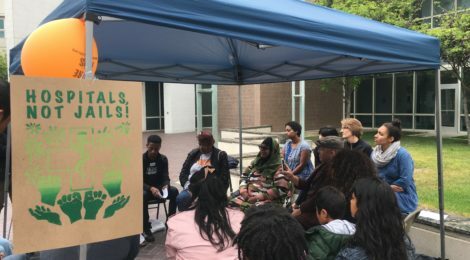 On Sunday May 13th, members of Los Angeles organizations fighting jail expansion, demanding bail reform, and pushing for community based investments in life sustaining resources gathered outside the LA County Women’s Jail in Lynwood. This annual jail fight event marks mother’s day with a call to: Free Mothers and Close Jails! While this call emphasizes the relationship to Mothers Day, we demand a closure of all jails in LA County and freedom for all those caged within. Critical Resistance Los Angeles (CRLA) joined Essie Justice Group, Youth Justice Coalition (YJC), California Coalition for Women Prisoners, Dignity and Power Now, Black Alliance for Just Immigration (BAJI), Haitian Bridge Alliance, White People for Black Lives, and other members of Californians United for a Responsible Budget (CURB). 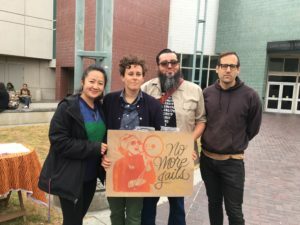 Together, the alliance of organizations presented a strong front at the women’s jail to demand freedom for all people imprisoned in LA County Jails. 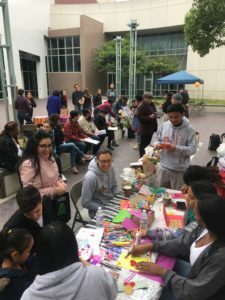 Through teach-ins, a wellness station, arts and crafts, giving out flowers, and providing coffee and food, the organizations engaged people who were going to visit their loved ones at the jail as well as people who were released that day from the jail. 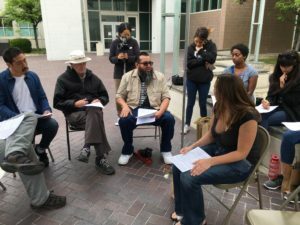 CURB and YJC helped lead a discussion about the $3.7 billion jail construction plan that LA County continues to push forward, emphasizing how we must stop construction of the Women’s Jail in Lancaster and the mental health jail proposed for downtown. A member of CRLA shared information about our ReImagine109 campaign and we heard from people directly impacted and family members on the need for community based services rather than policing based probation or control. In the final teach-in of the day, BAJI, Essie, and Haitian Bridge Alliance shared stories of women impacted by bail both within the county system as well as through immigration detention. Essie also spoke about their participation in the Black Mama’s Bail Out. It was a powerful day marking the impact of imprisonment on people in the women’s jail, their loved ones, and entire communities. Together, we continue to demand that LA County stop the current jail plan and instead develop a plan for investment in life affirming resources for communities, move towards decriminalization, and implement changes that would reduce the jail population such as bail reform. Contact crla@criticalresistance.org to get involved.